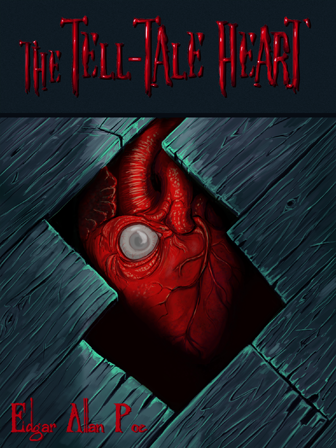 “The Tell-Tale Heart” is a classic Edgar Allan Poe short story. The narrator is unreliable and strangely calm throughout his horrifying description of murdering an elderly man, which makes for an excellent discussion of how authors establish mood, particularly Poe. The murder is carefully calculated, and the murderer hides the body by dismembering it and hiding it under the floorboards. Ultimately the narrator's guilt manifests itself in the form of the sound — possibly hallucinatory — of the old man's heart still beating under the floorboards. The story is unsettling, erie, and violent, and makes for a great introduction to Poe.